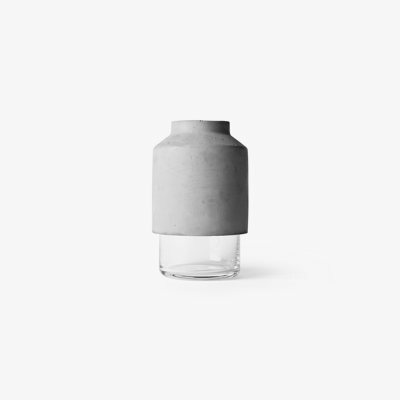 Rubber Vase is a beautiful vase with natural simplicity, designed by Henriette Melchiorsen for Menu. The unique rubber vase has won design awards and caused a stir in home decorating and design shops all around the world. When you look at them, they look just like traditional ceramic vases, but the surprise comes when you pick them up and realize that they&apos;re made of rubber. And the soft rubber vase has a positive spirit all the way. If you accidentally drop it on the floor, it doesn&apos;t break and it looks beautiful both with and without flowers. The soft material makes it easy to fold the vase so it fits the flower bouquet. If you just have a single item, the vase can stand with a long stretched neck. If the bouquet is small and dense, it will fit better in the vase if the neck is folded down.